At Hardy, Wolf & Downing, we believe in our clients – and we will not relent until a fair and adequate settlement is reached. 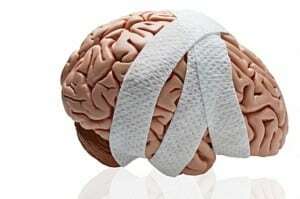 In one such case we worked diligently to redress the traumatic brain injury suffered by a plaintiff who, on the surface, described a hard-to-prove fact pattern and a shaky chain of events. After diligently unearthing additional evidence, exposing certain issues in deposition, and determining that our client was unlawfully injured through the fault of another, we were able to successfully procure a settlement in the amount of $125,000. This result was a wonderful outcome, especially given the preliminary facts that discouraged other personal injury firms from even considering taking this case. The specifics of the case involve a slip and fall, workplace injury. However, the injury occurred while the plaintiff was on the grounds of another employer – not his own – which thereby raises questions of possible negligent supervision or other employment-related negligence issues. From there, we learned that the victim was injured after falling on a walkway, possibly tripping on an object or in reaction to an uneven surface. Initially, even the victim was unsure how or why he fell – so we began interviewing witnesses and other employees to determine if any possible underlying issues may have been present at the time of the incident. After several depositions of witnesses familiar with the incident or the area in question, we learned that at the precise location of the impact, it was not uncommon for ice to accumulate in the divots of the walkway. After pressing further, we also learned that an employee who was responsible for maintaining the walkway and eliminating ice from the divots happened to be on vacation at the time of the fall. As the pieces slowly began to take shape, we were able to determine that, in all likelihood, the victim was injured through the negligent maintenance of the walkway, and the responsible party should (and did) pay for the victim’s injuries and expenses. This kind of personal injury victim advocacy is the hallmark of our practice at Hardy, Wolf & Downing, and we do not shy away from cases that present difficult or obscure facts. By contrast, we engage our best investigative tactics to get answers – and compensation – for our clients. While all bodily injuries are serious, traumatic brain injuries can cause lifelong consequences. What’s more, the loved ones tasked with caring for a relative suffering from brain trauma must often give up their career or significantly alter their lifestyle to accommodate for the needs of the injured victim. At Hardy, Wolf and Downing, we believe these burdens must be met with a fair and adequate payment from the responsible party, and we will work tirelessly until a settlement or verdict is reached. If you are the recent victim of a tragic fall or accident and are unsure whether you have a case, please contact the Maine personal injury lawyers at Hardy, Wolf & Downing us right away to set up a no-cost, no-obligation consultation. In Maine, plaintiffs have six years from the date of the injury to file their claim – so do not delay! Call us today: 1-800-INJURED.